Item # 309929 Stash Points: 3,495 (?) This is the number of points you get in The Zumiez Stash for purchasing this item. Stash points are redeemable for exclusive rewards only available to Zumiez Stash members. To redeem your points check out the rewards catalog on thestash.zumiez.com. 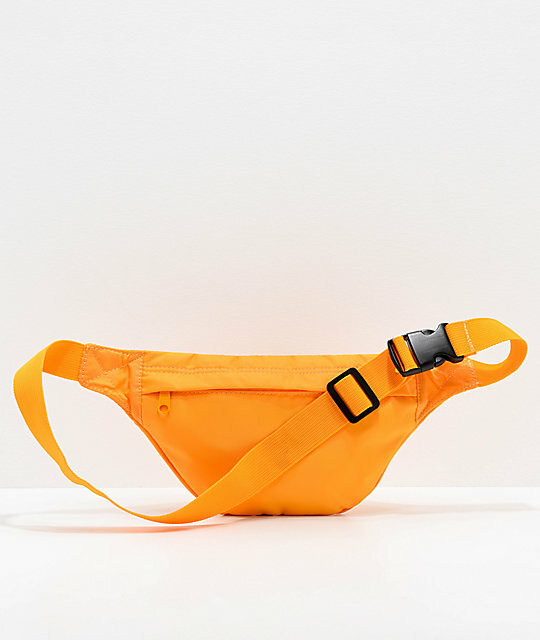 Get a stylish and colorful new hands free belt satchel with the Obey Drop Out Mustard Yellow Fanny Pack. 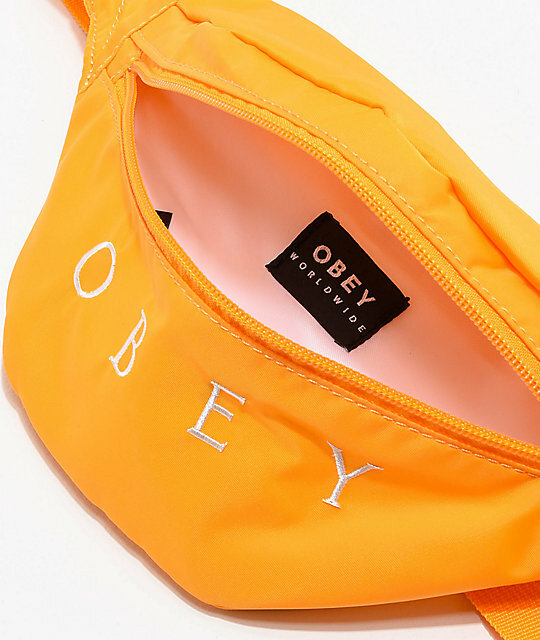 Bright yellow throughout its entirety, this pack is highlighted by embroidered Obey brand script at the front for iconic branding and flair. One large pocket with zip-closure offers plenty of storage space and the adjustable webbing strap ensures an ideal fit, no matter your build. 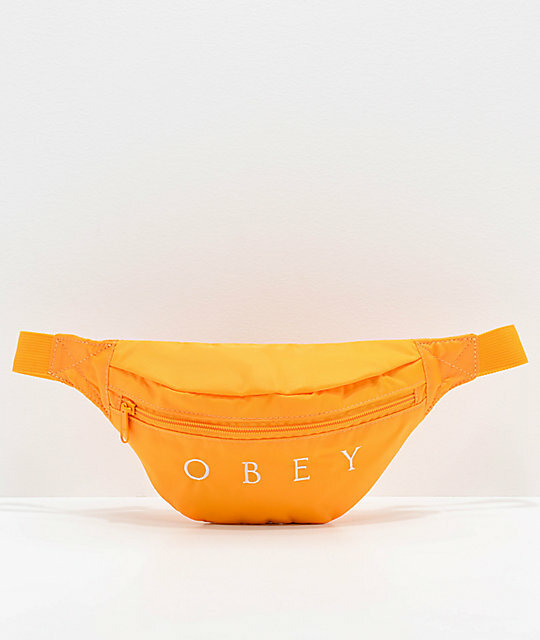 Drop Out Mustard Yellow Fanny Pack from Obey. 18" L x 5" W x 6.5" D | 46 x 13 x 17cm.